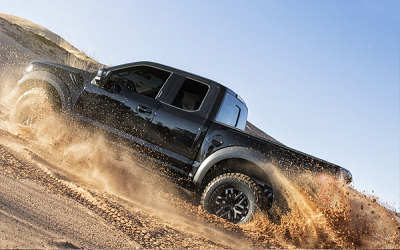 Drivers in search of the ideal truck for work and play are at the edge of their seats awaiting the fall 2016 release of the 2017 Ford F-150 Raptor around Las Cruces, NM. This second-generation revamp of the much-loved F-series truck has been gaining tons of positive reviews because of its unrivalled power and impressive performance. Its comeback was announced in the 2016 Detroit Auto Show in the first quarter of the year. The newest Ford Raptor will proudly sport an all-aluminum body, therefore making it ultra-tough but more lightweight than ever. Sources even claim that the truck had a decrease in curb weight of up to 500 pounds compared to its previous model. This entry was posted in Business on July 31, 2016 by Domingo.